Home > Amazon > Harry Potter Wand Coding Kit $79.99 – Lowest Price! Harry Potter Wand Coding Kit $79.99 – Lowest Price! Harry Potter fans! 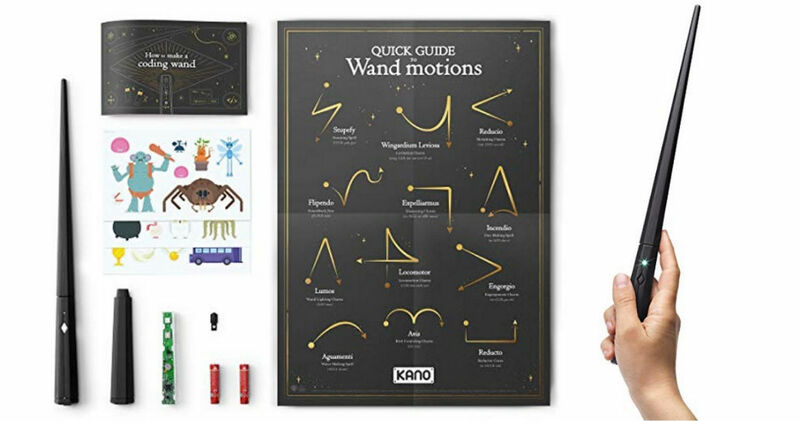 Right now you can get the Kano Harry Potter wand coding kit from Best Buy for $79.99! Make sure to clip the $15 off coupon when you put it in your cart. This is one of my Top Toys of 2018 and so far we haven’t seen it on sale at all! This kit allows you to build a wand that responds to your personal movements. It will teach you to code with 70 step-by-step challenges (it interacts with their tablet and computer app).